We are coming up with a series of CD-R reissues of old goldies. First run is a set of Ameeba's grand work, great music still slept-on by most. There's a collection of instrumentals from 1999-2001, the Ego7 "Freespaced" CD, that was originally released only on cassette, a very hard-to-find piece. Also the SyvÃ¤vesi (Microbe & Ameeba) II and III albums â€“ must-haves for all fans of beautiful slow production and nature-sided deeply concentrated Finnish raps. 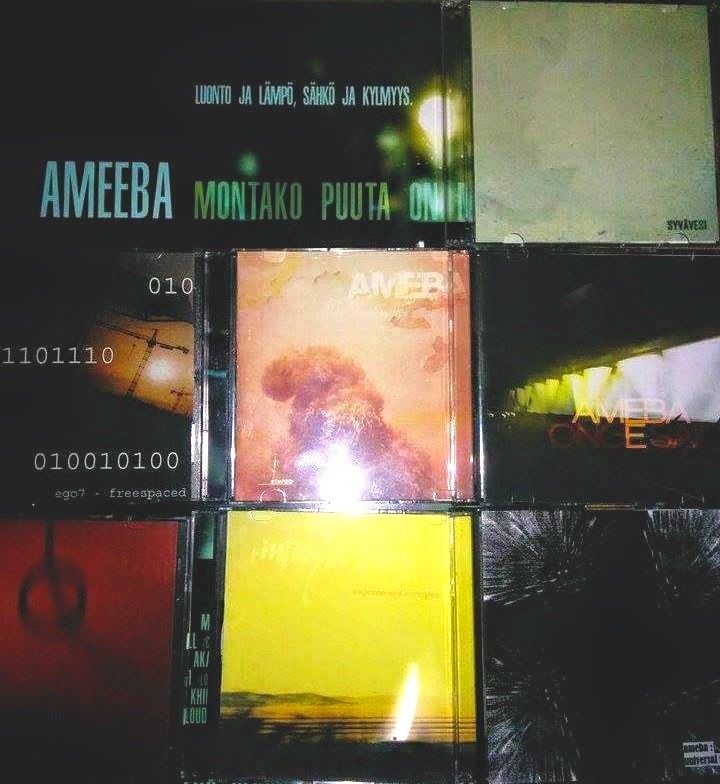 Don't miss out on Ameeba in English â€“ there's the "Introspective" with femcee Minnylee, "Dust Issues", and my personal favorite Ameeba album "Once Said". Invincible beats, underground styles, personal lyrics. The memphis-underground -influenced Finnish producer Khettokasme came out with a second beat-tape, follow-up on his break-through cassette-only album "ADG". This one's titled "They Live" and it's available for preorder 'till the release date Oct 6th. It's the sixth release of the local cassette-label TKKNT tapes, limited to 170 copies. 10â‚¬! DJ Tuleva TyÃ¶tÃ¶n released his newest and possibly finest tape "Pilvet" (feat. Moonlit, SQR, Iwere, Betonipossu, Dumb, PÃ¶rrÃ¶ne) on the same date that Betonipossu came out with the vinyl-LP version of his "HyviÃ¤ Keloja" album, which is a straight-up underground classic! All raps in Finnish. "Pilvet" (CAS) 8â‚¬! "HyviÃ¤ Keloja" (LP) 14â‚¬! We also got a special shipment from the Finnish DJ & record collector JMP, that included both of his mixtapes that are truly that Ghetto Styles underground sound! Dope and unique selections picked from old hard-to-find North American rarities. Plus he decided to donate all income to our association. These mixtapes are pure gold! Check the tracklists from the store site! Crazy used records been coming in weekly from a few nameless collectors. They've been selling out quick! Keep up with the updates on the store site and our Facebook page. More new music from local cats in shortly! Have a great weekend, folks! Payce! Previous show, 80minutes of Ameeba's selections, 40min of DJ Tuleva TyÃ¶tÃ¶n's! After three episodes of Underground Classics, it was time to get back to a basic theme-free show. Dumb, Iwere & Ameeba with the selections and the rest of us hanging in the studio.